The recent statement by the Department of Petroleum Resources (DPR) that Nigeria has about 139 gas flare locations spread across the Niger Delta both in onshore and offshore oil fields where gas which constitutes about 11 percent of the total gas produced are flared came as a rude shock to the watching world. But to the keen watchers of the Niger Delta region, wisdom born from experience bears eloquent testimony to the fact that there is nothing newsy about the revelation as the agency only confirmed the obvious. 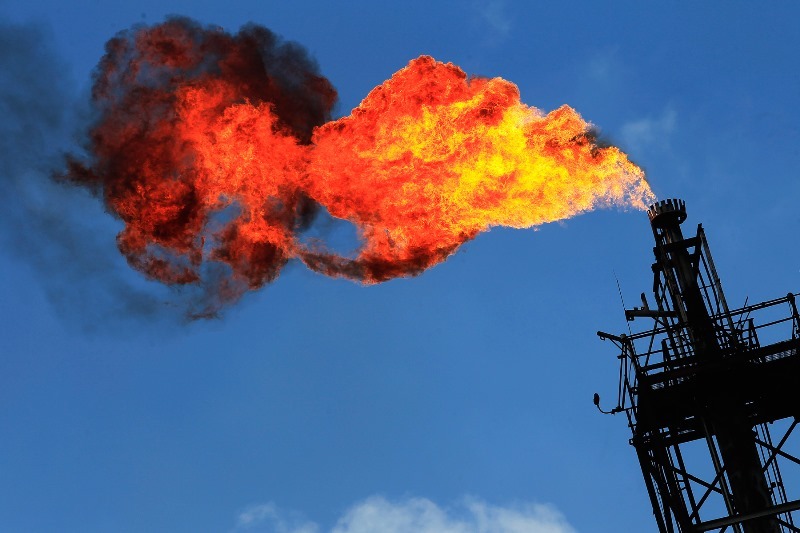 What has observably caused a ‘’heartening’’ concern is the DPR’s admission/ declaration that due to high degree of losses and environmental damage associated with flared gas in the region, the Federal government has come up with the National Gas Flare Commercialization Programme (NGFCP) to harness the flared gas and put it into productive use. First and most fundamental, by the analysis of their report, by the admittance of inherent dangers associated with gas flaring in the region, the DPR has vindicated the Niger Deltans that have hitherto complained about the successive administration’s attitude of listening without being attentive to the hazards (both health and environmental) caused by the flaring of gas in the region which they stoically endure. And by inference, stands as an indictment on and mirrors the federal government as both culpable/architects of the excruciating, pollution and degradation the Niger Delta region have been subjected to over the years. The second liability associated with the DPR’s revelations, however, stems from the first, hence, which would be of considerable significance to this discourse- as it provides answers as to why the nation is currently at the throes of economic hardship. From the content of the report, the age-long mismanagement of the nations’ mineral resource, which the industry watchers described as a native was brought to the open.- a position that is factually backed by a portion of the report which read in parts. ‘About 888 million standard cubic feet of gas was flared daily in 2017. The flared gas is sufficient to light up Africa, or sub-Saharan Africa generate 2.5 gigawatts (Gw) of power or produce 50 million barrels of oil equivalent (boe) or produce 600,000 metric tonnes of liquefied petroleum gas (LPG) per year, produce 22 million tonnes of carbon dioxide (CO2), feed two-three liquefied natural gas (LNG) trains, generate 300,000 jobs, able to attract $3.5 billion investment into Nigeria and has $350 million carbon credit value’. This is an illustrative pointer as to why the nation economically gropes and stumbles. Without overlooking the towering importance of the NGFCP, the key focus according to the proponents may not purely be financial but aimed at achieving the flares-out agenda/zero routine gas flaring in Nigeria by 2020 while the commercialization approach is considered from legal, technical, economic commercial and development standpoints. Certainly, a well-chiseled plan but industry watchers are of the views that the project has the potential of assisting the FGN to meet its goal of turning Nigeria to a gas-based industrial economy, as outlined in the National Gas Policy and the 2017 Power Sector Recovery Programme. If the above projection is anything to go by, it will again necessitate the poser; why the FG maintained silence on what the Niger Deltans, the owners of the region where the gas is domiciled stands to gain in material and financial terms apart from having a pollution free environment? The situation is even made worse by the Federal Government’s unrelenting quest to exercising ownership rights of all gas flared in Nigeria, a state of affairs that has elicited the belief by the vast majority of Nigerians that the FG is not considering power devolution as being clamored by the masses. This perception no doubt, has further marred the programme, its proponents, and further sent a wrong signal to the watching world about our leaders unwillingness to have the nation restructured- a requirement indispensible for enthroning both deliberative/participatory democracy where regions could be vested with appreciable power to control, regulate or monitor their resources according to international best practices. For example, in a country like Canada, provinces are constitutionally empowered to manage their own emission regulations in an equivalency arrangement, and provinces could generally do their own environmental assessment of smaller economic projects. Also important to worry about is the ambiguity and conflict of purpose which plagues the project. A case in point is that while the NGFCP program is targeted at eliminating gas flaring through technically and the commercially sustainable gas utilization project developed by competent third-party investors who will be invited to participate in a competitive and transparent bid process, the Gas Flaring (Prohibition and Punishment) bill is already before the Senate. And if passed into law, will prohibit the flaring of gas on both onshore and offshore oil fields. This naturally in my views takes care of what the program is set to achieve. All these despair expressed by Nigerians with critical interest/the victims of the broken promises needs to be allayed and constructive actions taken by the state parries as that could be the only force that will propel them to reevaluate/consider whether some good actions may again come out of this nation called Nigeria. And in all, there is a sincere desire on the part of the people to support the project if the FG could be holistic in approach and take actions such as; effecting the long-anticipated clean up of the region, deeply engage the youths of the region who are in the airtight cage of poverty and considers turning one out of the two seaports in the region( Warri and Koko) to a deep-sea point as this will provide a seamless transportation means to the products while creating job opportunities for the people, remove the climate of violence and save the region from their ‘invisible’ miseries.